My name is O’Malley and I am a very affectionate young boy who loves to get his neck scratched! 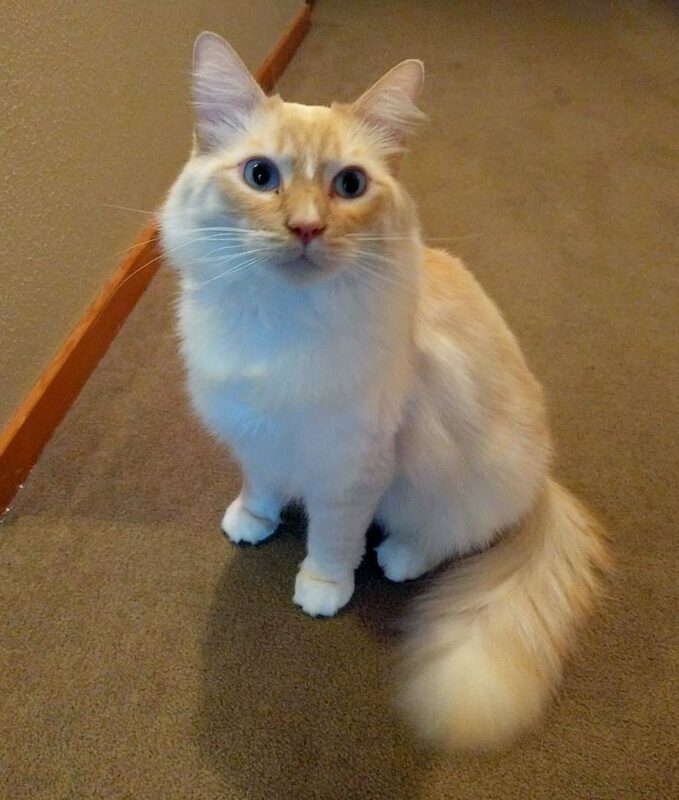 I’m about 4 years old and am a handsome flame-point siamese mix — don’t you just love my big blue eyes? I really enjoy people and will knead and purr a lot when you offer me pets and scratches. I’m pretty confident and I will let you know when he’s hungry or want to be pet and played with. My favorite toys are strings with or without attachment, and I also love to hunt toy mice. I’m also to use a scratching post instead of your couch I still have some kitten tendencies like gentle nipping or forgetting not to use my claws when playing, so I would probably do best in a home with no children or older children who have a little experience with kitties. 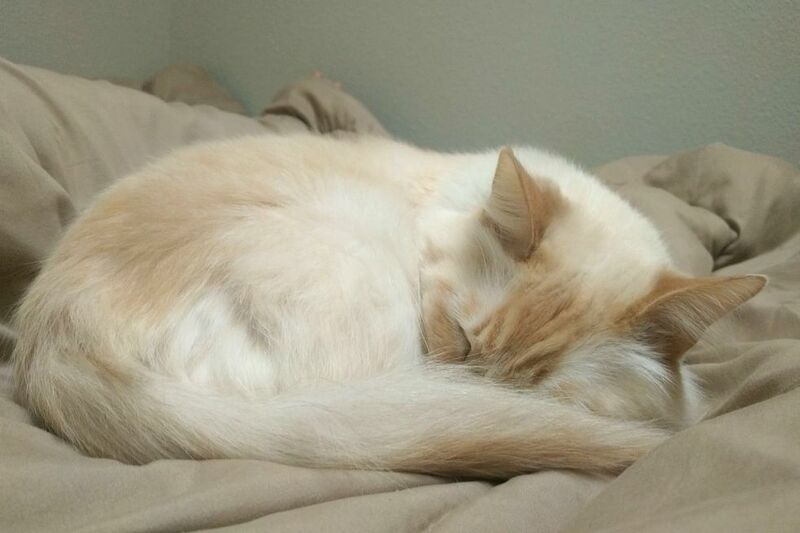 I don’t have much experience around other kitties, and so far I don’t seem to be a huge fan of them, so I’d probably be happiest as the only kitty in the home. I am very, very much a people-friendly kitty, however, and I know my perfect family is out there! Are you looking for a handsome boy like me? I’m currently living in a foster home, so fill out an application to meet me today! I come to you fixed, vaccinated, and micro-chipped for an adoption fee of $100.